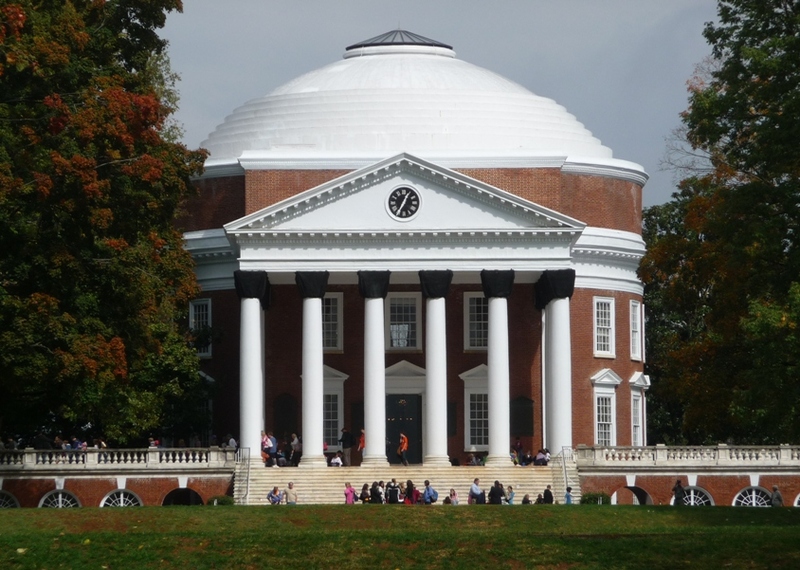 The University of Virginia in Charlottesville is another Jefferson inspiration and further proof that the man was one of those ridiculous overachievers put on this earth to make the rest of us look bad. Not only did he found the first secular university in the country, he designed UVA’s great rotunda (in addition to designing Monticello, essentially creating the Library of Congress as we know it today, drafting the Declaration of Independence, and being the nation’s 3rd President). Unfortunately for him, though, he modeled the rotunda after a far older and more impressive building, the Pantheon in Rome. So by comparison, Jefferson is really kind of a loser after all . . . now don’t we all feel better?